Why Fit: Enduarance athletes seeking efficiency. Fitness novices craving comfort. No matter the motivation, no one is better equipped to help guide your bike selection and dial in your body position than a Trek Precision Fit technician. The personal fitting experience will address your specific needs, giving you a tailor-made solution that will lead to countless hours of faster, more comfortable, more enjoyable riding. Trek Precision Fit: A proven process: Every step involves dynamic feedback between you and your Trek Precision Fit technician. When you walk out the door, you will not only know more about proper posture and position, but you’ll take away a complete assessment that documents your specific needs and preferences. During a lower body evaluation, a Trek Precision Fit technician will conduct a thorough assessment to determine your ideal cleat position, leg extension, saddle selection and position, making incremental changes to create ideal biomechanical alignment that optimiSes posture and power. 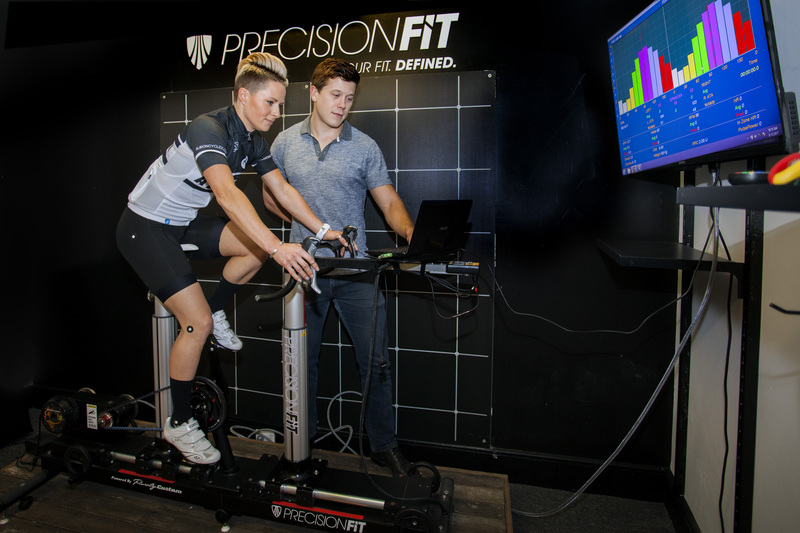 At Albion Cycles our bike fits are performed by our in house ESSA Accredited Exercise Physiologist, Andrew Schotte. Andrew brings his knowledge of the anatomy and bio-mechanics of the body gained from his study of Exercise Physiology and over ten years of cycling experience in and out of competition to the fitting of our clients to ensure the right fit for your goals. At Albion Cycles we understand that in order to be the best on your bike you need to feel both comfortable and powerful. Come see Andrew at Albion cycles to see what he can do for you.